Waterford, MI – Sept. 20, 2014 – Providing mental health and substance abuse counseling to residents of the Waterford area for more than 20 years, Catholic Charities of Southeast Michigan (CCSEM) is moving to a new location just under a mile from its current office on Highland Road effective Wednesday, October 1. 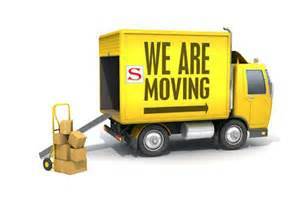 The new office is at 1370 North Oakland Boulevard, Suite 105, in Waterford. Staffed by masters-degreed clinicians, the CCSEM office in Waterford provides counseling for children, teens, adults, couples, and families. Therapists help address issues including anxiety, depression, ADHD, addictions, anger, grief, and marital problems. CCSEM also has Wednesday evening group sessions for individuals living with the dual challenges of substance abuse and mental illness. Appointments are available for daytime, evenings, and Saturdays. CCSEM accepts most insurance plans including Blue Cross Blue Shield, HAP, Cofinity, Aetna, and Medicaid HMOs. “It’s always a good idea to seek help for your problems sooner rather than later,” explained Reeve. “I encourage anyone considering counseling to call 248-666-8870 and talk with our intake staff about whether our services here might be a good fit.” CCSEM services are available to all, including those of any or no faith background.